It is a responsible task being a business partner to companies where their ability to change is a matter of survival. As a business software vendor we need to respond quickly to new industry trends and requirements, and predict technology shifts and changes in user behavior patterns. But most importantly, we must create a smooth and safe path for our customers to adapt and transform their business with the help of IFS Applications 8 and our industry expertise. With the latest version, IFS Applications 8, we wanted to create a “platform for innovation” to let our customers adapt their business to new market and user requirements. By upgrading to IFS Applications 8, companies can take advantage of latest product innovations but also new functionality that is continuously released. 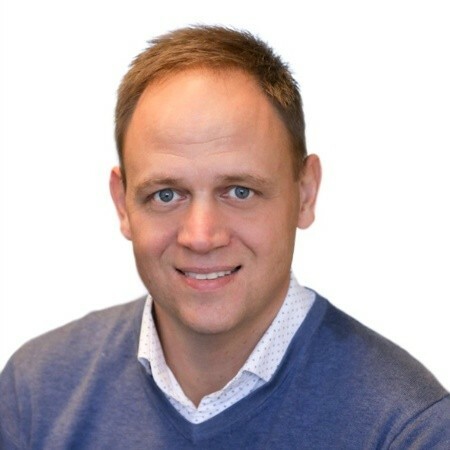 Let me introduce Mikael Johansson, Consulting Services Director at IFS Scandinavia to share how IFS’ customers can reduce total cost of ownership thanks to faster and smarter upgrades of IFS Applications. What is the IFS Upgrade program? IFS Upgrade can be explained as an upgrade factory that aims to secure a lean and cost efficient upgrade process of IFS Applications. What are the benefits using IFS Upgrade? The aim with IFS Upgrade is to help our customers upgrade to the latest version of IFS Applications, thereby quickly taking advantage of new functionality to improve productivity and their competitive edge. We’ve been running this new method in IFS Scandinavia for the past year and it has proven to be very successful; many customers have chosen to upgrade because of this easy and straight forward process. What is different from the previously used method? The concept behind IFS Upgrade is to keep the scope as tight as possible. The idea is to upgrade first and do the business improvements afterwards, resulting in a clear project scope from the beginning. Right after the technical upgrade business improvements are initiated and implemented at a pace suitable for the company. This service is delivered by IFS Technical upgrade team, a group of technical experts equipped with top-notch tools and infrastructure. This is a centralized team with the right skills and experience to deliver lean upgrades with no surprises. This team consists of business consultants with industry and application knowledge. They know the solution the customer is running and the new functionality in the latest version of IFS Applications so can effectively guide and assist the customer through the upgrade process. How can IFS reduce total cost of ownership to our customers? With new processes and tools we have significantly reduced the time it takes to upgrade, and time means money. The technical upgrade itself is offered as a fixed price to the customer and we only need 1-2 days to estimate and submit an offering. The technical upgrade itself has been improved and we have reduced the time spent on uplifting the code by at least 30% and we have reduced the number of customizations with 30-60%. Right after the technical upgrade, we can focus on business value and productivity gains together with the customer. Does this sound interesting? Please contact Mikael Johansson on +46 733 35 45 43 or Mikael.johansson@ifsworld.com, or your IFS account manager or submit a request for more information.